The Bellevue Kendo Club was founded in 1989 by Jeff Marsten. Jeff Marsten is a 7th degree black belt with over 45 years of kendo experience. He has taken 14 trips to Japan in order to train and be taught by some of the best kendo practitioners and instructors in the world. The club offers instruction through the Bellevue Parks & Community Services department. The club serves the cities of Bellevue, Redmond, Kirkland, Bothell, New Castle, Sammamish and Issaquah. 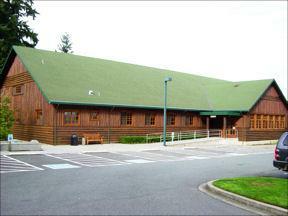 The classes are located in Highland Community Center, 14224 Bel-Red Rd, Bellevue. Bellevue Kendo Club has the largest junior population (15 years and under) of all the clubs of the Pacific Northwest Kendo Federation. It offers a special junior kendo camp during the summer for its members and others through Bellevue Parks & Community Services. The instructors at Bellevue Kendo Club are recognized for their skill and ability and have distinguished personal kendo careers. They have nurtured and helped hundreds of kendo students during their long teaching tenure. Both the Beginning and Intermediate classes are taught to a set curriculum consisting of weekly units. The class progresses through each unit based on the ability of the majority to master the class material of each unit. If the majority of the class has not mastered the unit it is repeated until satisfactory progress is made. The Bellevue beginning and intermediate classes are based on a 10 week course but sometimes the sessions are greater than 10 weeks. There is a summer break taken between mid-August and mid-September. Register online here or by phone at 425/452-6885.